A feeding study of aspartame on rats, published by researchers at the Italian Ramazzini Foundation in Environmental Health Perspectives, showed increased leukemia, lymphoma and some cancers, but now a review of an earlier government-funded study in the U.S. is touted as "rejecting aspartame risks". "It goes a fair way toward allaying concerns about aspartame," said Michael Jacobson, head of the Center for Science in the Public Interest, which had urged the government to review the sweetener's safety after a troubling rat study last year. Unfortunately, the relief provided by the new study is not so clear-cut as its promoters would have us believe. Betty Martini goes so far as to call it "cockamamie claptrap" in her recent comment published in the Idaho Observer. Mark Gold is more careful in his analysis, but comes to the same conclusion. There are important reasons why the new study should not be construed as a "all clear" signal for the artificial sweetener. 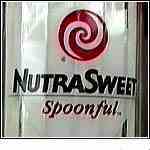 Recently, there has been a flood of press releases related to a U.S. National Cancer Institute-sponsored study of aspartame and cancer. (3) The study involved 340,045 men and 226,945 women, ages 50 to 69. Participants in the study completed surveys in 1995 and 1996 that included several questions about diet beverage ingestion in the preceeding 12 months. No link was found between participants who ingested diet beverages in the preceeding 12 months and lymphomas, leukemias or brain tumors. There are several obvious differences between the two studies. The study by the Ramazzini Foundation was an animal study, but was designed to simulate life-long ingestion of aspartame (e.g., 50 to 90+ years for humans). The study funded by the National Cancer Institute was a human study, but only looked a 12 months of diet beverage ingestion. The questionnaire used in the National Cancer Institute study was not designed to provide a long-term history of dietary intake. It was designed to determine which types of foods the participants regularly ingested over the previous 12 months. Participants who used large amounts of aspartame from 1981 through 1994, but stopped before they received the survey would be classified as "non-users of aspartame." But participants who recently started to use aspartame in 1995 would be counted as "users of aspartame" even though they may have only used it for several months. Therefore, some people may have used aspartame for over a decade, but they would be classified as "non-users" while others may have used aspartame for only a few months and they would be classified as "users." The questionnaire was not designed to calculate aspartame intake. There are no questions in the survey asking participants to estimate aspartame intake or even intake of a variety of common aspartame-containing products. In fact, only persons drinking diet beverages or coffee/tea with aspartame would be counted as aspartame users. A participant in this study could ingest hundreds of aspartame-containing products per week in the form of syrups, candy, gum, etc. and they would be classified as "non-users of aspartame" so long as that refrained from regular diet beverages ingestion. While it is to be expected that the manufacturer of aspartame and their public relations organizations such as the Calorie Control Council will try to flood the media with press releases proclaiming safety, it is clear from a look at the questionnaire used in the National Cancer Institute-funded study that it was intended to look at only 12 months of diet beverage use and the Ramazzini Foundation study was designed to look at life-long use of aspartame. Negative findings in the National Cancer Institute-funded study are not surprising given the short period of time looked at. The press releases claiming that aspartame does not cause cancer appear to originate from the aspartame manufacturer's public relations organizations. Finally, as can be seen online or by looking at independent scientific research, cancer is just one of many aspartame toxicity concerns published in the scientific literature. (1) Soffritti M, Belpoggi F, Degli Esposti D, Lambertini L, Tibaldi E, Rigano A, "First experimental demonstration of the multipotential carcinogenic effects of aspartame administered in the feed to Sprague-Dawley rats," Environmental Health Perspectives, Volume 114, Number 3, Pages 379-385, 2005. (2) Trocho, C., et al., 1998. "Formaldehyde Derived From Dietary Aspartame Binds to Tissue Components in vivo," Life Sciences, Vol. 63, No. 5, pp. 337+, 1998. From the scientific point of view, the U.S. National Cancer Institute-sponsored study involving 340,045 men and 226,945 women, ages 50 to 69 that required participants in 1995 and 1996 only to complete a questionaire that included several questions about diet beverage ingestion in the preceeding 12 months is nothing more than a survey on diet covering a 12 month period and cannot be used to conclude that there is no link between aspartame and cancer as it only indicates, as a survey that the participants who ingested diet beverages in the preceeding 12 months did not develop lymphomas, leukemias or brain tumors. It does not match the feeding design study by the Ramazzini Foundation which was an animal study and designed to simulate life-long ingestion of aspartame (e.g., 50 to 90+ years for humans). Putting the Ramazzini Foundation study and the indication derived from the U.S. National Cancer Institute-sponsored survey, the scientific conclusion that can be drawn is - that lifetime ingestion of even moderately low levels of aspartame caused lymphomas and leukemias in female rats but ingestion of diet beverages over a 12 month period may not produce lymphomas, leukemias or brain tumors in the human body. Hence it is scientifically wrong to say there is no link between aspartame ingestion and cancer formation. A conclusion must be based on both the Ramazzini study and the Government sponsored survey as the two are different and clearly provide different information. For a survey to be valid, it must make reasonably accurate assessments on aspartame intake and it must be long term, say a ten-year period in order to state with a reasonable level of confidence its long term effect on the body. Another way of looking at these two studies put together is to conclude that it probably takes more than 12 months of aspartame ingestion to produce cancer transformations in the body. to formaldehyde, formic acid, and CO2. Ingested methanol is then quickly metabolized into formaldehyde, which in turn becomes formic acid, both of which in time become carbon dioxide and water - however, about 30% of the methanol remains in the body as cumulative durable toxic metabolites of formaldehyde and formic acid. Formic acid causes acidosis or the overall increase in acid in the body and inhibits metabolism. Other reports state that formaldehyde and acetaldehyde were found to produce an increase in total malignant tumors in the treated groups and showed specific carcinogenic effects on various organs and tissues. The metabolites of aspartame have been shown to be poisons and these are toxic due to their free radical generating capacity. Excess free radicals deplete antioxidants in the body, weaken the immune system and its response and promotes cancer formation and it explains the wide range of symptoms such as obesity, headaches, nausea, birth defects, aggravation of diabetes etc. Alcohols in the body results in the formation of two very toxic compounds: acetaldehyde and malondialdehyde. Research shows that these compounds generate massive free radical damage to cells throughout the body. All known pathways of ethanol metabolism result in the production of acetaldehyde, a highly reactive compound. N-acetyl cysteine, an analogue of the dietary amino acid cysteine, binds acetaldehyde, thus preventing its damaging effect on physiological proteins. Research show the induction of free radicals by ethanol to be a complex interactive process. Aspartame toxicity is thus mediated primarily via its metabolites that initiate the generation of damaging free radical species in various tissues and deplete the natural antioxidants in cells to levels that produce disease or switch in the energy process from aerobic to anaerobic. Research also shows that methanol is oxidized in-vivo to formaldehyde and then to formate, and these processes are accompanied by the generation of free radicals that causes an increase in lipid peroxidation products possibly by approximately 30% and decrease oxygen levels in cells through oxidative stress on the Kreb's cycle. Formic acid also inhibits metabolism through oxidative stress on the Kreb's cycle, thus lowering aerobic energy in the cell. A diet beverage that contains aspartame also contains minerals and antioxidants that may scavenge the free radicals and that lowers the risk of cancer formation. There is another possible problem with aspartame consumption. Alcohols, some antibiotics (eg trimethoprim, the sulfonamides,) medications such as the antimalarial pyrimethamine and the anticancer drug methotrexate and formaldehyde interfere with the biosynthesis of folic acid or folate (a B-complex vitamin). So, excess aspartame intake could deplete folate stores. Folate is important for normal cell division and its deficiency can cause birth defects, liver disease, renal failure, diarhoea rtc. From the ongoing, another study that may be useful is to study the effect of aspartame ingestion in rats and monkeys that already have tumours (or induced by other methods) and compare the progress of the cancers in contrast with healthy rats and monkeys not fed with aspartame and further compare these two groups fed with aspartame and antioxidants and minerals. That experimental design would be valid in the eyes of science and it will yield results that may be applied in human groups that intake antioxidants together with aspartame and could provide data on the suppressive effects of antioxidants on cancer formation and slowing down the progress of cancers in aspartame fed rats and monkeys. This proposed study should test for depletion of antioxidants in the blood especially vitamin C, vitamin B6, folate, glutathione and selenoproteins. Catalase is known to catalyse the conversion of hydrogen peroxide to water and oxygen at rates of up to 6,000,000 molecules per minute but it has a secondary role oxidising toxins including formaldehyde, formic acid and alcohols. Hence aspartame ingestion would deplete catalase in the body and the experimental design should test for catalase depletion as well. If the results of such a study show the depletion of antioxidants with a corresponding increase in cancers or accelaration of the progress of cancers, as expected from the Ramazzini study and free radical science, it will add to the proof of a definite link between aspartame ingestion and cancer formation (and the acceleration of cancers) through free radicals and depletion of the natural antioxidants in the cells or the body. Studies are important for generating infornation to the consuming public and the public must learn to differentiate between scientific studies and surveys and be able to dstinguish between the conclusions of scientific studies and public relations. Science must be applied for the health and benefit of mankind and the environment and the converse precipitates decadence.